Unmoved, the rocks remain steady as each wave rolls in. 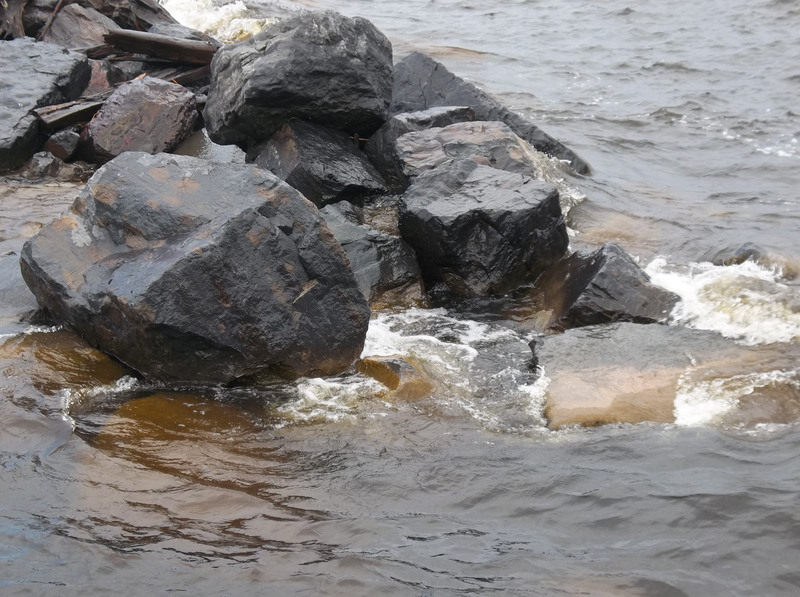 The rocks don’t collapse under the force but hold firm as the water hits resistance and then gently rolls over the top. Smoothing the edges, making the rocks shine. The choice is not whether the waves will come but rather in our response. Do we let them roll over us or do they take us under? Being calm helps us in many situations. What are 3 suggestions you have to help us remain calm? When I follow these suggestions, I stay/get back on course: rest and restore each day so your perspective is grounded in what’s relevant; be proactive and take the wheel back and start driving your life instead of responding to outside forces; and exercise your body and spirit everyday – run, walk, yoga, meditate/pray, read, write, be creative. Never give up indeed! Thanks Joan – always appreciate your encouragement and support.